Success as a leader requires you to negotiate with team members, stakeholders, clients, lenders, suppliers and superiors. 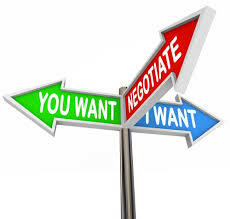 Yet many of us lack confidence in how negotiation works and how to negotiate competently for desired results. As a litigation lawyer, Cherolyn Knapp has built a career around negotiating successfully on behalf of clients and advising clients on conducting their own fruitful negotiations.